MV girls place third overall in best-ever showing. 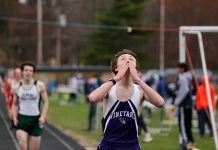 The Martha’s Vineyard Regional High School (MVRHS) track and field teams dominated at the Massachusetts Eastern Division 4 Outdoor Track and Field Championships, Sunday at Norwell High School. 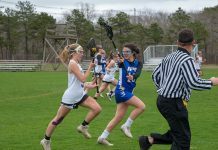 The Vineyard girls had their best showing in school history, racking up 60 points and placing third overall. 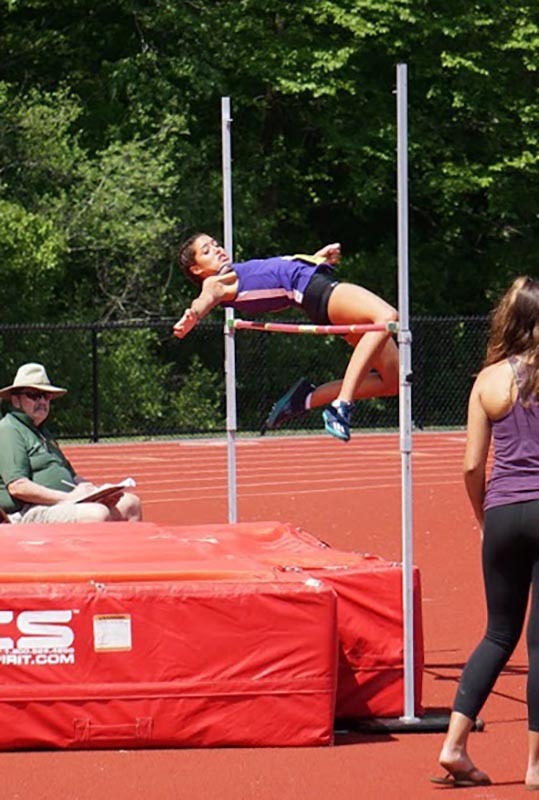 Senior captain Livy Smith won the long jump and the 100-meter high hurdles, becoming the first athlete in MVRHS history to win individual state division championships in both a track and a field event in the same season. Livy jumped a personal best (17 feet, 8 inches) in her first attempt, and won the hurdles with a time of 15.68. Senior Pearl Vercruysse won the state D-4 championship in the one-mile, clocking in at a school record 5:08.93, and took second in the 800 meters with another school-record time of 2:18.54. 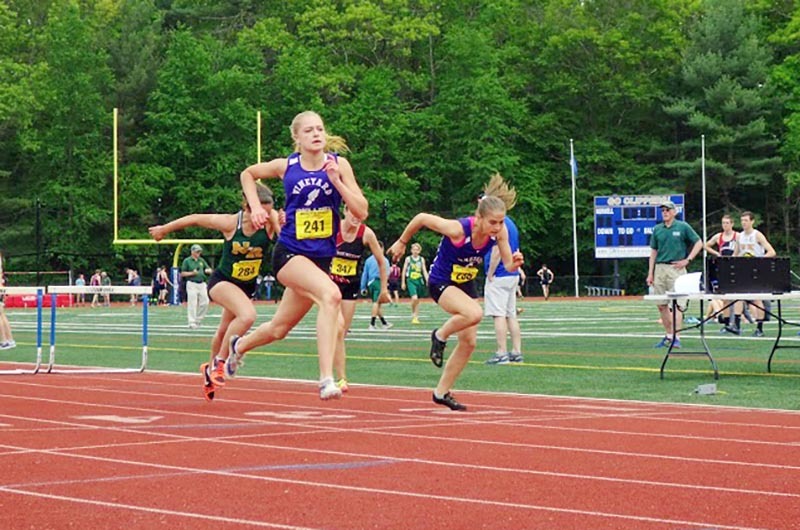 Sophomore Mackenzie Condon placed second in both the 100-meter high and 400-meter low hurdles. Her winning times of 15.96 and 1:06.86 were both personal bests. Smith, Vercruysse, and Condon each automatically qualified for Saturday’s All-State meet in two events. 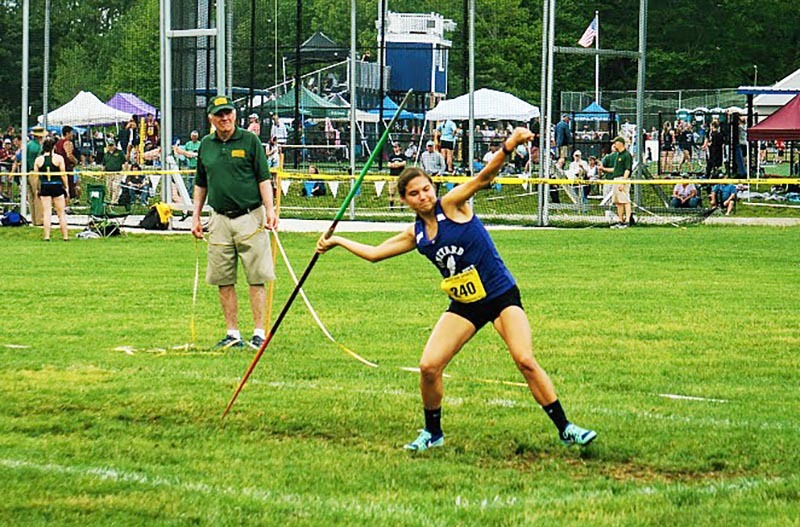 The girls’ highlight reel continued as Whitney Schroeder qualified for the All-States as a wild card by placing sixth in the javelin with a personal-best throw of 102 feet, 7 inches. The 4 x 100 relay team of Julia Hart, Madison Moreis, Natalija Lakis, and Livy Smith raced to seventh place in 51.7, Madison Moreis took eighth in the high jump at 5-0, and Rose Engler finished 11th in the mile (5:40.49). 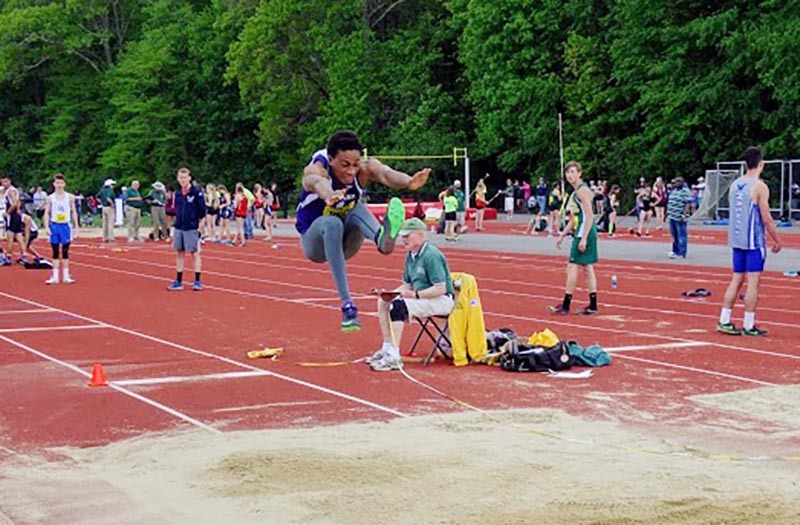 Ennis Foster led the Vineyard boys by placing third in the triple jump (42 feet, 9.5 inches) to qualify for the All-States, and seventh in the long jump (20 feet, 3.25 inches). 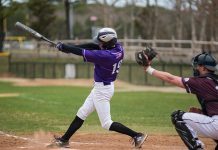 Jerry DaSilva was 11th in the long jump (19 feet, 0.5 inches), while Curtis Fisher placed 11th in the javelin (129 feet, 9 inches). Aivaras Gedvillas finished 12th in the 800 meters (2:07.09), and Lucas DeBettencourt threw the discus 90 feet to place 29th. 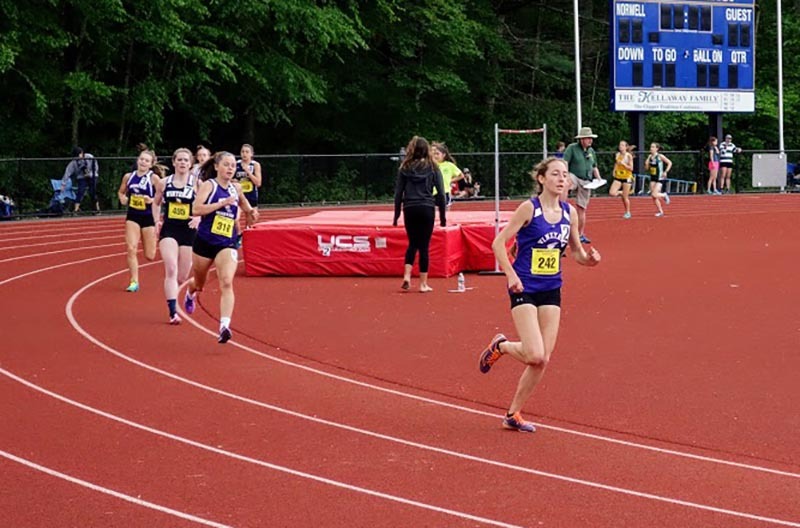 The track and field season comes to a close on Saturday at Bridgewater State University with Livy Smith, Pearl Vercruysse, Mackenzie Condon, Whitney Schroeder, and Ennis Foster representing MVRHS at the All-State Outdoor Championships.